Have any of you amateur astronomers realized how the positions of Mars and Saturn cause Scorpio to look more like Andromeda? 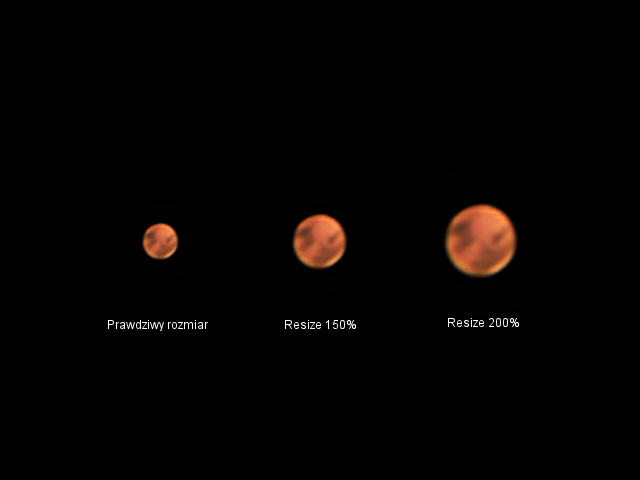 AND A BONUS: A 1 hour timelapse of Mars rotating!! Greetings to all of You astro-freaks! Those are awesome! 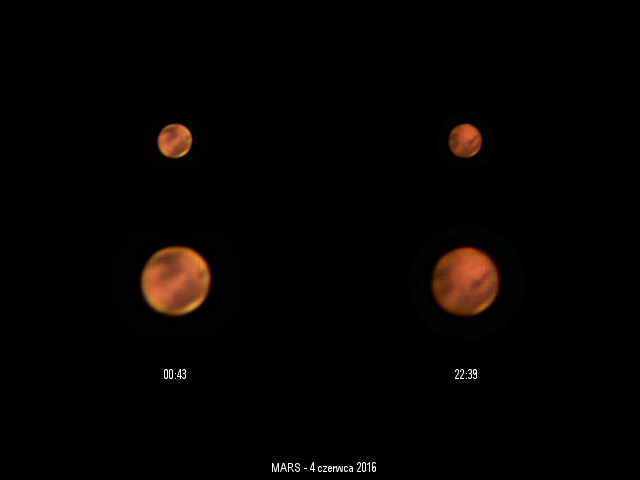 Love the rotating Mars animation. ISS has some nice passes here. Heavens above predicted it would reach 19 degrees towards the south, and they were quite correct. Nice! Is that about as high as the ISS gets for you? Here I am just south of its northernmost arcs. Using Heavens Above or other pass-prediction sites to spot the ISS is a great way to wow people at outdoor evening events. It amazes me how many people have never seen it before. Is that about as high as the ISS gets for you? Not about, but precisely as high. That's why ISS was worth a look last night. Wikipedia tells me that ISS has an inclination of 51.65 deg and an altitude of 409 - 416 km. 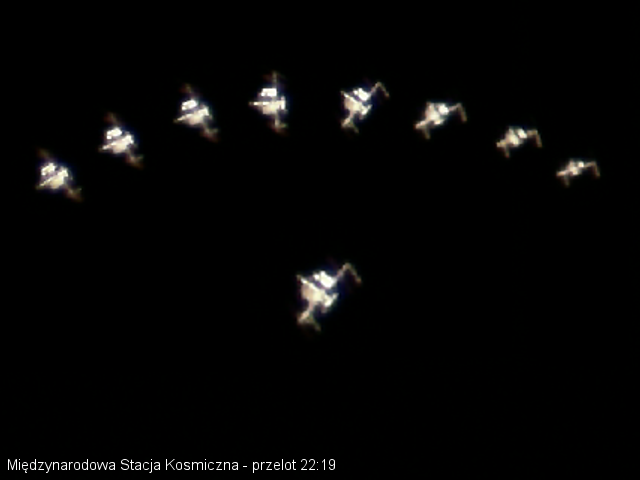 The picture shows ISS reaching 19.2 degrees, which is 19.15 corrected for refraction, as seen from 59.97N. This gives me a computed altitude of 412.2 km for ISS [assuming it passed dead south], which is within the altitude given by Wikipedia. This is assuming a spherical earth, but these calculations should still be accurate within a few tens of a degree for sure. EDIT: Heavens Above says it was at maximum altitude for my position (59.97N 10.65E) at 23:24:07 last night and ISSTracker.com gives ISS' position at that time as 51.77N 11.29E and 406.9 km altitude. Using this position I calculate an altitude of 404.6 km, which is within reasonable uncertainties. 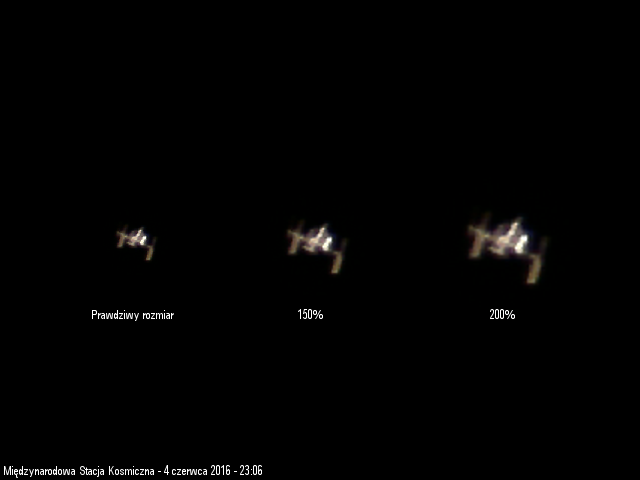 So, in its current orbit, it doesn't get higher (had I been slightly further to the east, the altitude would be 0.02 degrees higher, though, but that's less than a pixel in the image). 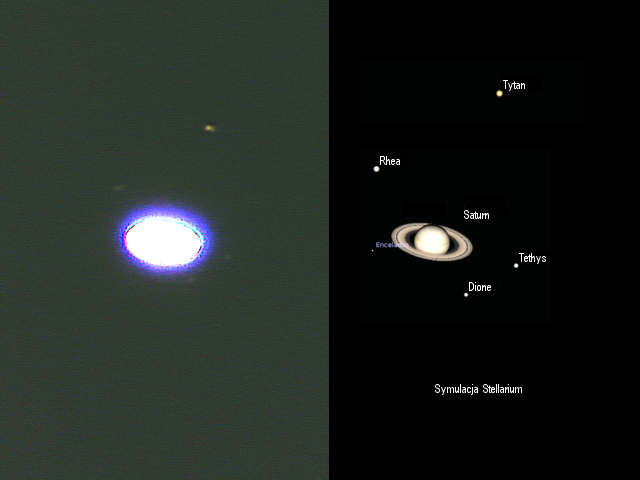 Which GoTo telescope (kind, brand...) would you recommend me to buy to use in astrophotography along with a Canon EOS Rebel T5? Beautiful shot. I'm ready to go out in that boat. That reminds me of one of the most serene and surreal experiences I've had under the stars. I was kayaking on a bay on a moonless summer night. Almost no light pollution, and it was dark enough to see the Milky Way. But the water was also filled with bio-luminescent plankton, and every disturbance -- a paddle stroke, the bow wave, fish swimming around -- would produce a storm of glowing particles. It was a sea of stars both above and below. Watsisname, Wow! I wish to have an opportunity like that! 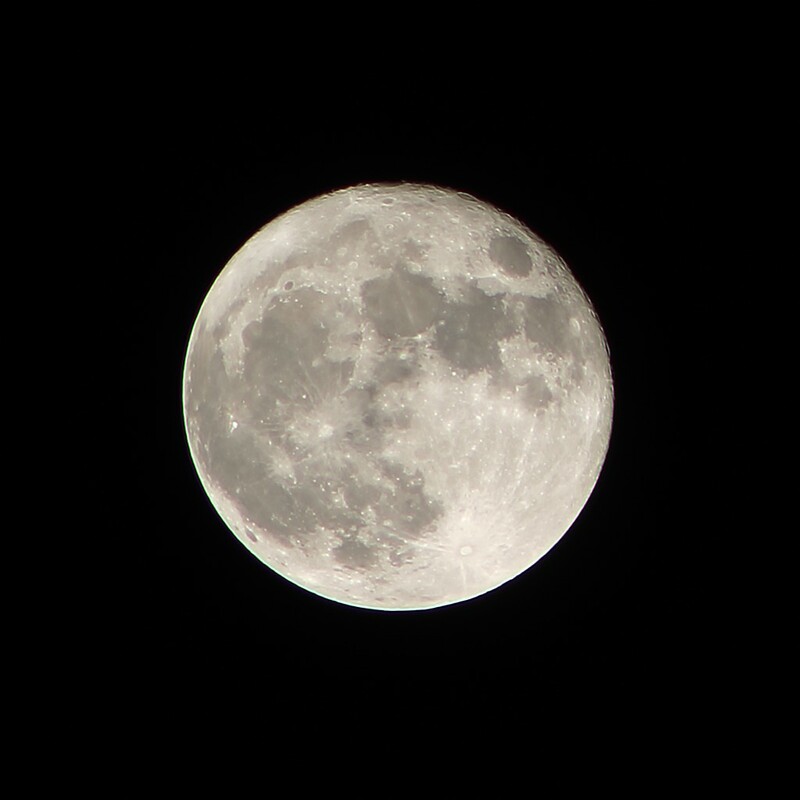 Well the clouds cleared out after all, so I got to photograph the moon. 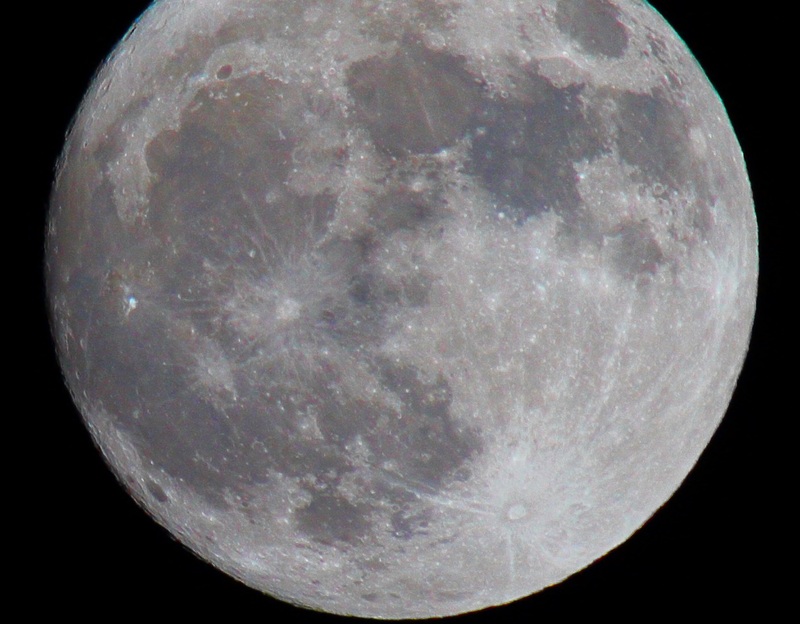 Maybe I'll try this again with the same camera & lens when it's an apogee full moon and compare the sizes side by side. 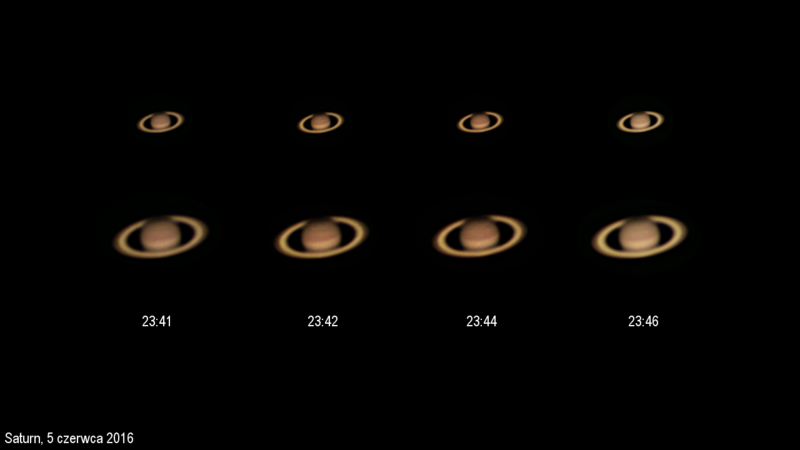 25 images at 300mm, f/6.3 1/400s ISO100, wavelet enhanced in Registax. Cool picture, Watsisname, and I would love to see a comparasion between super moon and micro moon. I missed the super moon because of heavy cloud coverage. 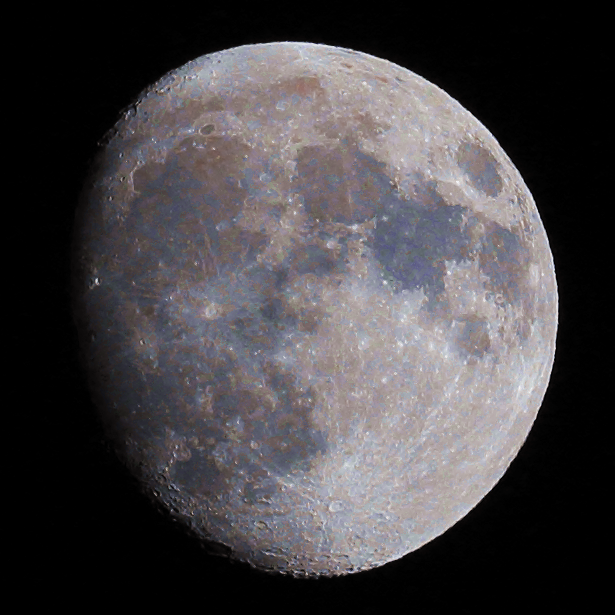 A shot of the Moon I got last week, processed extensively to bring out the Moon's subtle natural colors. Bonus: part of an image I got recently while playing with a 500mm lens for the first time. Minimal processing. Very cool. That really enhances the ejecta rays.